We have a home based pet boarding for cats, dogs, birds & other small animals. Our boarding for your pets are customised and we ensure they feel ‘at home’ even when away from home. 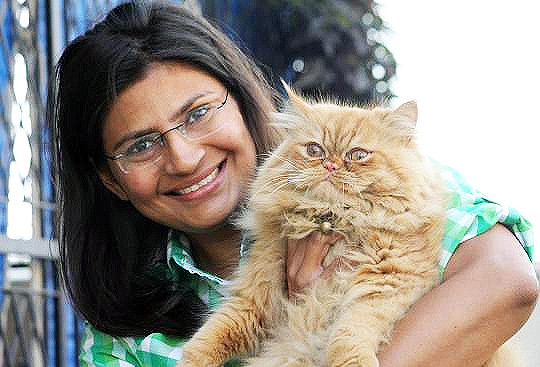 We started pet boarding services in 2007 and we are one of the oldest pet boarding provider in Delhi NCR. We have our facility in Sector-43, Gurgaon. Many of our clients call ‘PetSpot Boarding’ a ‘home away from home’ for their pets. We provide a safe and fun ‘home-hotel’ to your pets, when the you need to travel or have some personal exigencies. Ours, is a cage free pet boarding facility. The pets stay at PetSpot as guests and under watchful eyes 24/7. We have limited space and we register pets only with prior booking and adhering to the check in and check out timing of the pet hotel. Walk-ins are not entertained at all. We meet every pet before we register them and allow to stay with us. Meeting with the pet beforehand, helps us to know if we will be able to take care of your pet like you do. Every pet who stays with us gets personal attention and has ample play time and person to take care of all their needs and customised quirks. PetSpot provides end to end boarding service. Pet parents need not to provide anything along with the pet. Their stay with us includes- Food, Play, Walks and Daily Grooming. PetSpot welcomes almost all type of pets- Cats, Dogs, Birds, Guinea pigs, Rabbits, Hamsters etc. At PetSpot boarding, we ensure that our feline friends get sufficient sunlight, friends, play-time and basic grooming every day. We are always available to talk to you about your pet and its boarding needs. Please feel free to talk to us on +91-9811133950 or drop us a line on our contact us page. Special arrangements for Cats and Kittens, we have a dedicated room for cats equipped with cat toys, scratch boards, trees etc.